When you think of a beach house, what comes to your mind are wooden cladding that covers the exterior. You may also think of lovely wicker furniture and even beach themed interiors too. Well, that is what we usually see especially in movies but these days, there are a bit of twists when it comes to design of beach house because of the modern and contemporary trends just like what we will see in this beach house we will feature today. 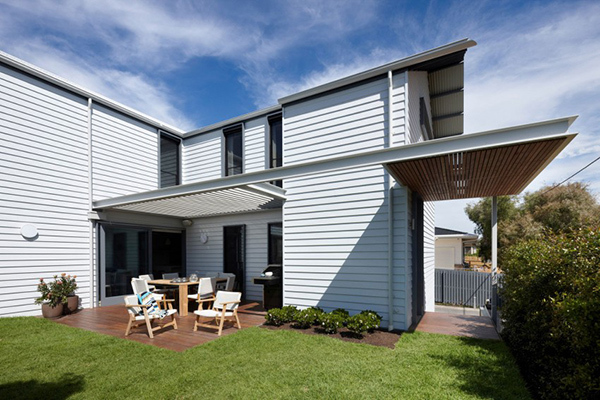 The Barwon Heads is a private home which is a beach house with four bedrooms. 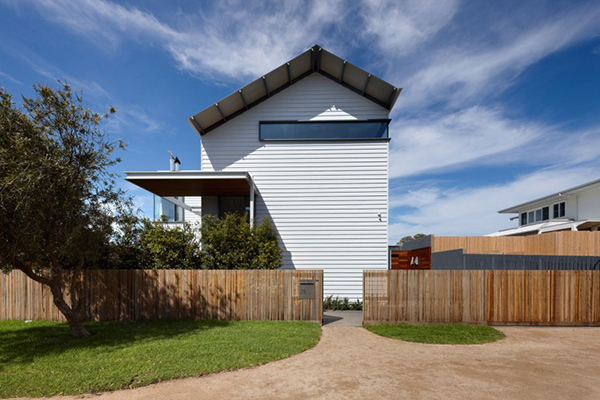 It is located in a compact site in Marshall, Australia standing with a traditional pitched roof forms and weatherboard cladding. Aside from that, it has a contemporary details and window apertures that made it look beautiful. 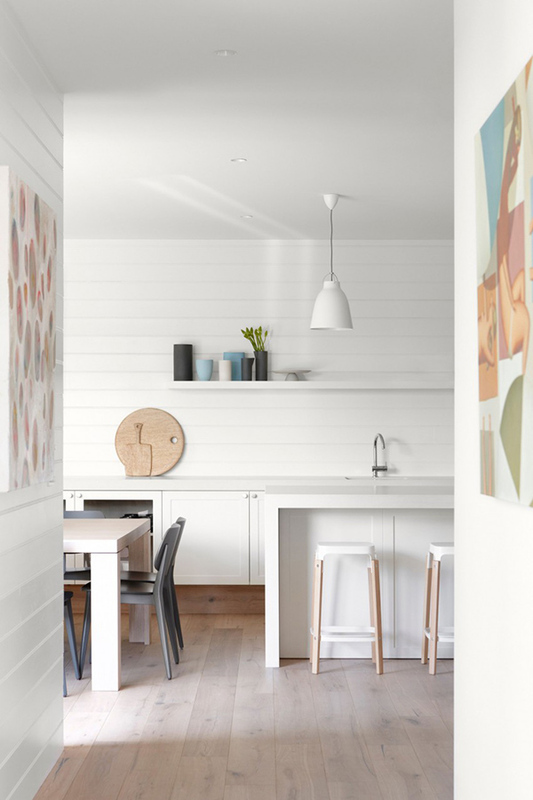 In the interior of the house, it also has an contemporary design that combines a classic palette of limed oak timber, painted lining boards and white walls. All in all the house looks very lovely! Come take a look! The front of the house is a towering form with a pitched roof. Looking plain, right? But this house has so many pretty surprises! Once you get inside the gate, you can see that there is beauty to the home’s exterior. 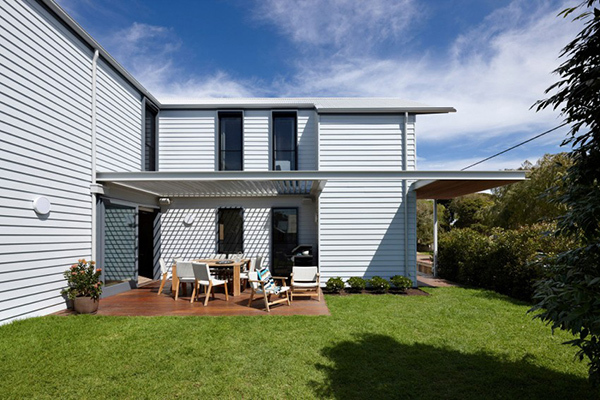 It has a white wooden exterior made of weatherboard cladding that gives it a beach house feel. 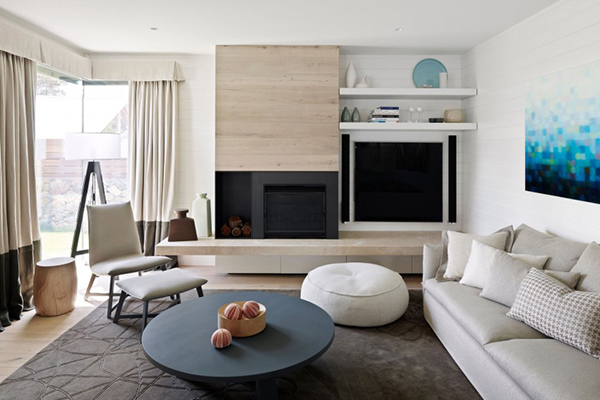 This living room looks fab and very contemporary in different earth toned items. The interior has white colors and other warm tones in it just like what you can see in the dining and kitchen areas. 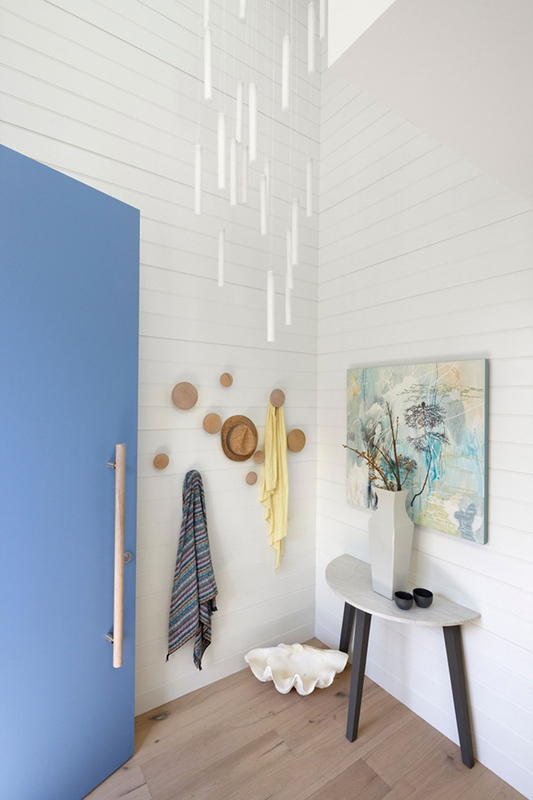 The foyer looks simple but very beautiful! One can really make a space lovely no matter how small it is as long you are creative. 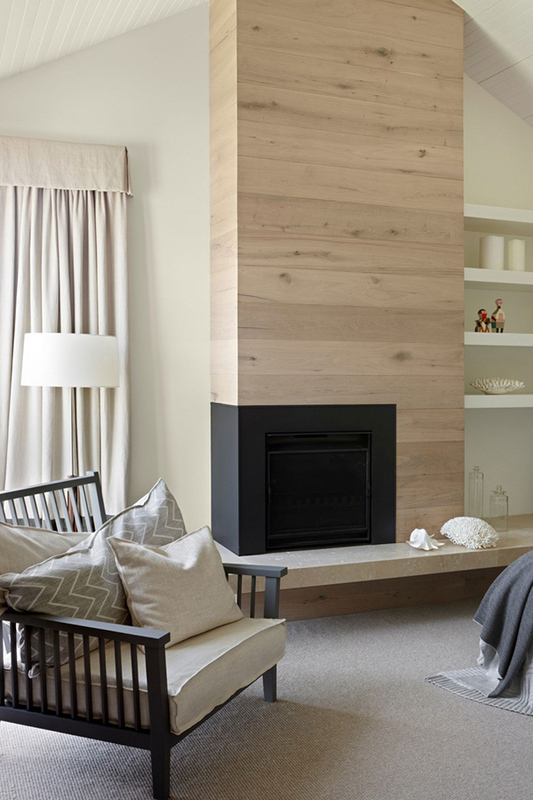 The fireplace is a beautiful item in the living room especially because of the wood it used. 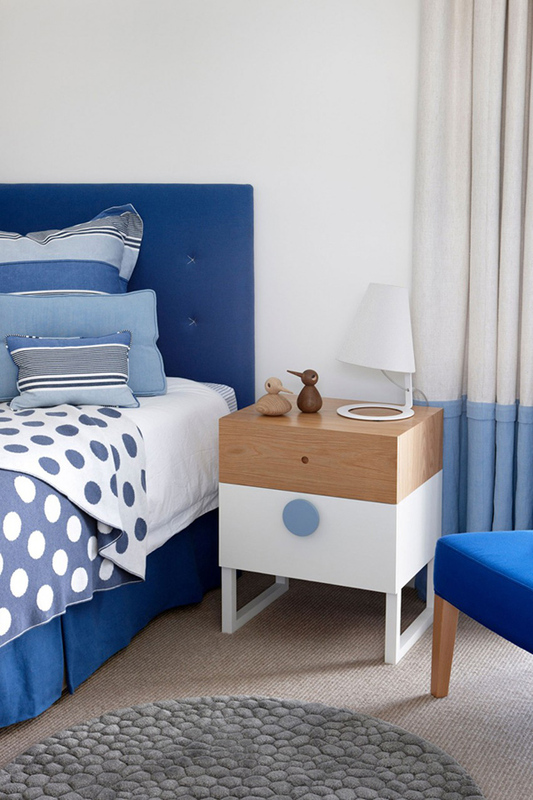 This bedroom is pretty cool in blue! Love the combination of patterns here. 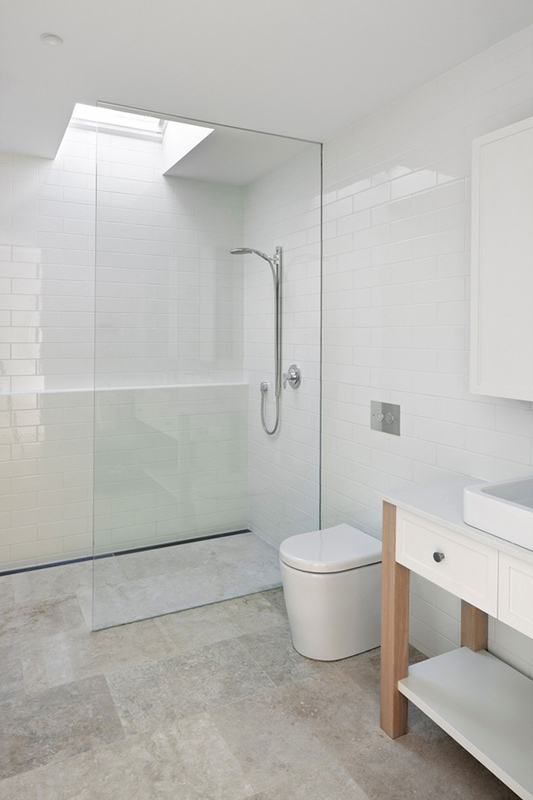 The bathroom used white for the wall tiles and it looked even more spacious with a glass shower. 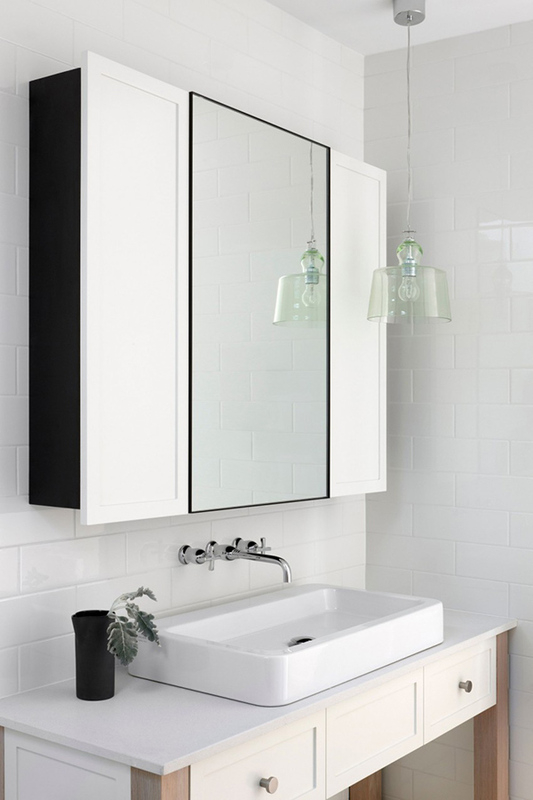 While this one is the vanity with a nice transparent glass wall sconce lighting. What the Pleysier Perkins did to this house is indeed stunning. I like that contemporary look of the home as well as how they did the interior. It is really beach-y while still pulling off a contemporary style. And anyone would definitely feel at home in a cozy space like this. Don’t you just love this place?